Looking for Family Day Fun across Metro Vancouver on Monday, February 18th? 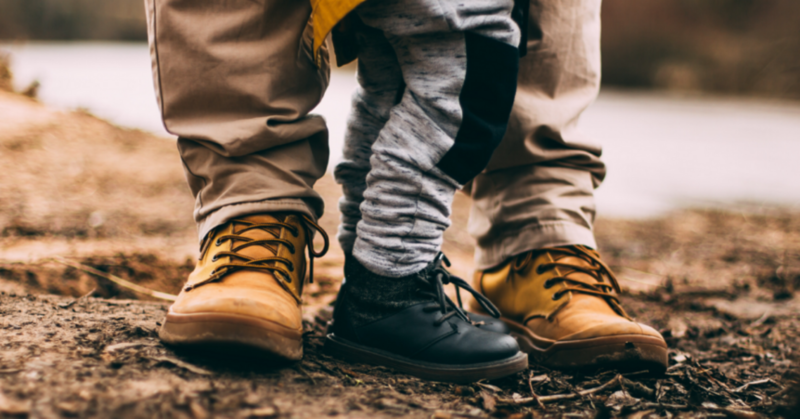 We’ve got you covered for with over 100 Family Day events in Britannia Beach, Burnaby, Chilliwack, Coquitlam, Fort Langley, Langley, Maple Ridge, Mission, New Westminster, North Vancouver, Port Coquitlam, Port Moody, Richmond, Surrey, Vancouver, and West Vancouver, White Rock. We wish you and your families a fun filled weekend together! Family Day Winter Festival at Bill Copeland Sports Centre: 9:00 – 1:30 pm, 3676 Kensington Ave. Pancake breakfast, toonie skate, and entertainment. Family Day at Bonsor Rec Complex: 9 am – 6:30 pm, 6550 Bonsor, Burnaby. All ages badminton, family fitness circuit, paint our piano activity, family swim and family gym. Family Day at the Burnaby Village Museum Carousel: 11 am – 2 pm, 6501 Deer Lake Ave. Children’s entertainment, arts and crafts, heritage games as well as unlimited carousel rides. Family Day Fun & Games at the Cameron Rec Complex: 10 am – 12 pm, 9523 Cameron Street. Imagination Playground, board games and crafts. Registration recommended. Family Day Swim at CG Brown Pool: 11:30am- 2:30pm, 3702 Kensington Ave. Family swim admission rates apply. Family Day at Edmonds Community Centre: 9 am – 6:30 pm 7433 Edmonds Street. Family gym, Baby ‘n’ toes art activity, family Zumba, family basketball and family racquet sports. Family Day Skate at Twin Rinks Arena: 2:00 pm – 3:30 pm 5725 Tyson Rd. Hot chocolate and skating. Family Day Fun at Timms Community Centre: Feb 16: 9:30am – 5:45pm, Feb 17 11 am – 5:45pm, Feb 18 10 am – 5pm, 20399 Douglas Crescent. Photo booth, parkour, open gym, art drop in, yoga, badminton, BC Farm Museum display, Zumba, bootcamp, pickleball, spin. Family Day at the Canadian Museum of Flight: 10 am – 4 pm, Hangar #3 – 5333 216th Street. Tours, family photos, crafts, hot chocolate, fly over, jelly bean challenge. Family Fun Event at Richard Bulpitt Elementary School: 10:00am – 12:00pm 20965 – 77A Avenue. Face painting, basketball, bounce and play. Family Day at the ACT Arts Centre: 11 am – 3pm, 11944 Haney Place. Lantern making, community village art project, rain stick making, crafts, stories and more! Winter Family Fun Day at Albion Fairgrounds:11:00 am – 4pm, 23448 Jim Robson Way. St John Ambulance Therapy Dogs & Raptors Ridge Birds of Prey, Family Treasure Scavenger Hunt, Games, Crafts, cooking with kids & lunch. Winter Family Fun Day 11:00 AM – 4:00 PM, Albion Fairgrounds 23448 Jim Robson Way. Special Guests St John Ambulance Therapy Dogs & Raptors Ridge Birds of Prey. This is a free fun-filled event with Family Treasure Scavenger Hunt, Games, Crafts, cooking with kids & more! Family Day at Maple Ridge Leisure Centre: 9:00 am – 2 pm, 11925 Haney Place. Family Drumming workout, family yoga, and play gym. Family Day at Planet Ice: 1:30 pm – 3 pm, 23588 Jim Robson Way. Hockey, ringette and figure skating. Skate/Scooter/Bouldering at Greg Moore Youth Centre: 11 am to 3pm, 11925 Haney Place. Family Day At Mission Leisure Centre, 8:30-4:30pm, 7650 Grand St. Free swimming, skating, gym activities, crafts, giant games and more. Family Day at the Anvil Centre: 11 am – 2 pm, 777 Columbia Street. Science World on the Road, Nintendo games, Magician Peter Rooke, face painting, photo booth, crafts, clowns, balloons and more! Family Day Aboard Samson: V: 11 am – 3 pm, Samson V at New Westminster Quay. Tour, knot-tying, scavenger hunt, arts and crafts, and learn about maritime symbols in heraldic crests from the Royal Heraldry Society of Canada. Family Day Fitness & Activities at Centennial Community Centre: 9:00 am – 12 pm, 65 East Sixth Ave. Crafts, games, story time, refreshments, arts & crafts, stretch and cycle classes. Greenhouse in Queen’s Park: 10:30 am – 12:30 pm, McBride Blvd & 3rd Ave. Tour, make a spring planter and win prizes. Family Day Fun at Queensborough Community Centre: 9:30 am – 11:30 am, 920 Ewen Ave. Indoor Playland, bouncy castle, crafts, story time, free admission to the fitness centre and more! Family Day At New West Youth Centre: 10:00 am – 1 pm, 620 Eighth Street. Crafts, cookies, cookout, open gym, a learn to DJ area, gigantic window coloring sheet, and photo booth. Family Day Pancake Breakfast & more at Grouse Mountain: 9 am – 10 pm, 6400 Nancy Greene Way. Pancake breakfast, live music, snowshoe tours, ice characters, meet the resident barn owl, sleigh rides, zip-lining, Theatre in the Sky, Magical Light Walk, Sliding Zone, Terrain Park. Family Day Petting Zoo at Lonsdale Quay Market: 11 am – 3 pm, 123 Carrie Cates Court. Crafts, princesses, petting zoo and lego! Family Day Activities at John Braithwaite: 8 am – 6:00 pm, 145 W 1st St. Parent Participation Drop in and Table Tennis. Family Day Activities at Ron Andrews: 11 am – 5:30 pm, 931 Lytton St. Parent and Tot Drop In. Family Day Skate Event at Port Moody Rec Complex: 12 noon – 4 pm, 300 Ioco Road. Skating, a Gizmo the Clown magic show and balloon art, face painting, crafts, a bouncy castle, hot chocolate and refreshments. Family Day at Steveston Tram: 12:30 pm – 4:30 pm, 4011 Moncton Street. Tour, crafts and explore artifacts. Free Pancake Breakfast & Family Day Fun at Cambie Community Centre: 9:30 – 11:30 am and 3 pm – 6 pm, 1288 Cambie Road. Photo booth, juggler, open gym, and creative play. Family Day at Hamilton Community Centre: 10:00 am – 4:00 pm, 5140 Smith Drive. Family Day Fun Fest at South Arm Community Centre: 9:30 am – 4 pm, 8880 Williams Road. Live puppet show, musical sing-a-longs, face painting and more. Family Fun Day at Richmond Olympic Oval: 10 am – 7:30pm, 6111 River Road. Skate, climb, fitness circuit, The Incredibles 2 screening, Olympian autographs. Family Day Geocache Hunt at Crescent Park: Feb 16, 10am-2:30pm, 2585 132nd Street. Pre-registered, but free. Arts and crafts, gym games, bouncy castle, cookie decorating, photo booth, popcorn, activity passport stations with a prize and more! Family Day Festivities at Douglas Park Community Centre: 10 am – 1 pm, 801 West 22nd Ave. FREE family playtime gym, interactive activities, arts and crafts. Free Exercise Room admission*. *19 yrs+ or accompanied with adults. Light refreshments and snacks served. Family Day Kick-Off at Champlain Heights Community Centre: 6:00-8:00pm 3350 Maquinna Drive. BBQ, arts and crafts, open gym and entertainment. Family Day Pajama Party at Hastings Community Centre Association: 10:00 AM – 1:00PM, 3096 E Hastings Street. Parent & Tot Gym with a bouncy castle, arts & crafts, face painting and a movie screening. Snacks by donation. Sunset Family Day Fun at Sunset Community Centre: 11am, 6810 Main Street. Play gym (including a bouncy castle), arts and crafts, games and multicultural dance performances. Family Day Fair at the Kerrisdale Community Centre: 1 – 2:30 pm, 5851 West Boulevard Bouncy castle, arcade games, toys, crafts, indoor lawn bowling, a photo booth, music, refreshments. Family Day Festival at Marpole-Oakridge Community Centre: Feb 16 11:00am-2:00pm, 990 West 59th Avenue. Balloon twister, face painter, arts and crafts, inflatables, games, a play area and a snack concession. Family Day Celebration at Trout Lake Community Centre: 11 am – 3 pm, 3630 Victoria Drive. First Nations Songs, Carnival Band Parade, live music, dance, performances, instructor demos, family skate, story time for kids, art for kids, gymnastics circuit, family play gym, pottery, cooking demonstrations and cake. Family Day at West Point Grey Community Centre Gym: 9:30 am – 3:00 pm, 4397 West 2nd Ave. Zumba, entertainment, games, face painting, balloon artist, cookie decorating, Bouncy Castle, Playtime equipment in the gym. VCT Family Day Open House at the Queen Elizabeth Theatre: 10:00am-1:00pm, 600 Hamilton St. Visual arts display, hot chocolate and crafts. Family Day Campfire Songs & Stories at Pacific Spirit Regional Park: 10 am – 1:00 pm, 5495 Chancellor Blvd. Bring your own marshmallows, roasting sticks provided. Family Day at the Roundhouse Community Centre: 11 am – 2pm, 181 Roundhouse Mews. Parent and Tot Gym, sing along, live music, or arts and crafts! Family Day at Vancouver Aquarium: 10 am – 5 pm, 845 Avison Way – Kids under 12 get in free. UPDATED INFO: Family Fun Nights at Cypress Mountain: Fridays 6pm-9pm Head down to Olympic Plaza in front of the Cypress Creek Lodge to enjoy the cozy outdoor fire pits. S’mores and hot chocolate for sale, live music & pizza deals inside. Family Day at the West Vancouver Community Centre: 9 am – 5 pm, 6262 Marine Drive. Swimming, skating, gymnastics, fitness classes and arts and crafts. White Rock Family Day Skate & Family Stick & Puck: Monday, February 12th, 10:45 am – 1 pm, Centennial Arena, 14600 North Bluff Rd, White Rock Free admission, free skate rentals.